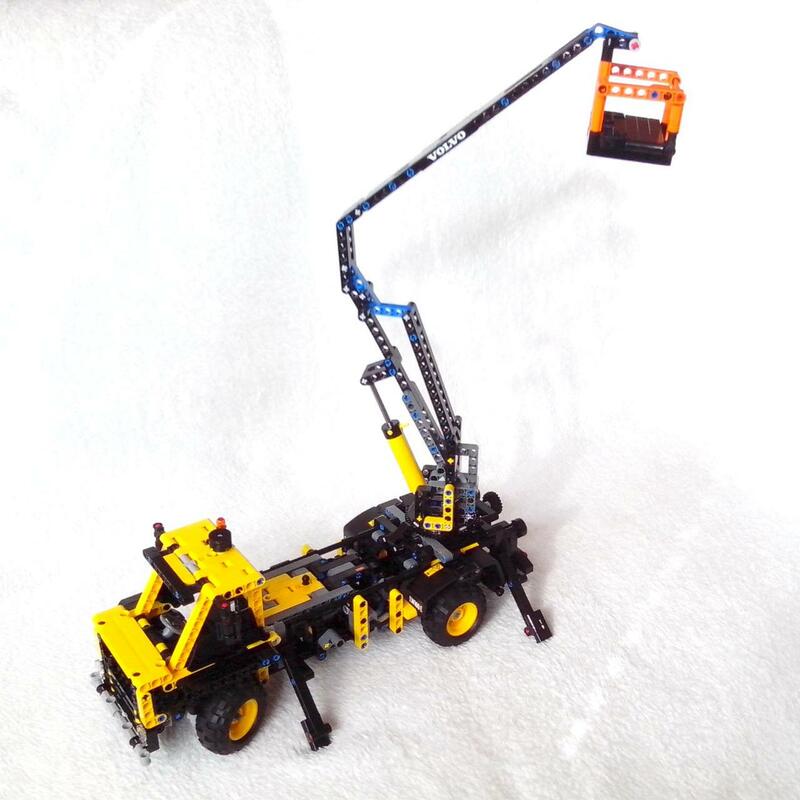 This cherry picker is an alternate of 42053 Volvo EW160E. Functions are steering, platform lifting, boom rotation and extending outriggers. Boom rotation is done with a knob at the back. Also at the back are knobs for the outriggers, one for each side. Outriggers can actually lift the vehicle from the ground. It's just not visible in the photos because I placed it on soft ground. For the pneumatic system I did not choose the hand pump. I rather went with the small pump and a crank. It takes some rotations for the lifting, but works really good and has a better fine tuning of the height than the hand pump. Also I did connect the pneumatic actuator only with one tube. Gravity is enough to lower the platform. There's a hatch door above the pneumatic pump and a door for the platform. On the black panel at the front the sticker for the B model is applied. Update: I've made building instructions with LDraw!